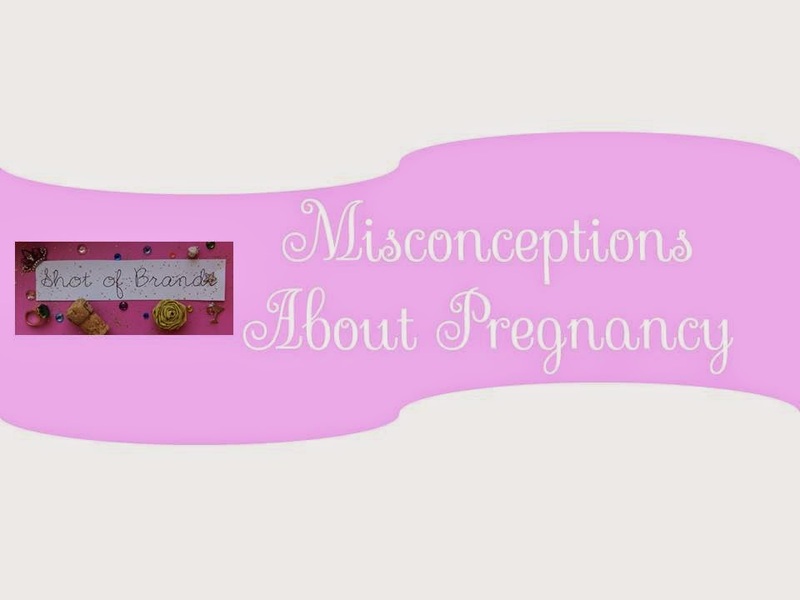 While most of my friends have babies (plural), after 6 months of being knocked up I now realize that going into this I had a number of misconceptions about pregnancy. For those of you that don’t have children, I thought I would share some of the things that I was wrong about. Weight Gain - I automatically thought that I would gain weight right away. I hear so many women say how they feel so large so soon, that I just assumed that I too would feel large. While everyone is different, for me it took some time before I started to see the scale go up. In fact, the numbers didn’t move until after the mid-way point of 20 weeks. Yes, I had some morning...errr... sickness (more below), but I really think it was just giving up drinking! Sad. Maternity Clothes - See above re: weight gain. I thought that packing on extra pounds early would require a whole new wardrobe. I even ordered a dress to wear for the holidays, when I was about 10 weeks. The reality is that I’m still wearing some dresses that had a little room in them. Then again, my fashion style has always been A-line dresses that make me look preggo (#NoShame). I’m able to wear my pre-maternity pants, but now by the end of the day they are unzipped. Yes, I’ve purchased a belly band and button extender to ensure they stay up. I hope those first two items on the list don’t come off as braggy. I’m not bragging. I’m just trying to make a point that everyone is different and every pregnancy is different. Morning Sickness - I did hear that morning sickness wasn’t limited to the morning, but I didn’t realize what that meant until I experienced it. On NYE I wasn’t feeling well, so we came home just before midnight to watch the ball drop. Ten minutes later I was puking. My first sober New Year in YEARS and I’m PUKING? This would be the start of many pukey nights in January and February. Yes, nights. You see, I’d be a little nauseous in the morning, but the real party started when I couldn’t keep my dinner down. It didn't’ happen every night and I know it could be WAY worse, but throwing up of any kind isn’t fun. Missing Alcohol - Speaking of sober New Year’s, as an avid drinker and wine consumer, I thought that I would miss alcohol. Well, I’ve learned that I can break up with spirited beverages much easier than I expected. Maybe it was due to the sickness for two months, but I don’t have the need to drink. Yeah, there has been some occasions where I’ve had the desire to have a drink, but it turns out being sober is cool too. HOWEVER I am looking forward to a glass of cab, margarita, Moscow Mule and mojito this fall. Maybe all in the same night! Who’s babysitting!? Maternity Leave - Without going on a huge rant, I always expected I’d take 12 weeks off for maternity leave. Now it’s looking like that will be more like 9-10. Note to self, don’t be afraid to discuss your maternity leave policy before switching jobs - EVEN if you aren’t thinking of having kids right away. We are heading into an election year and I’m super interested to hear where the candidates side with mandatory paid maternity leave. The US is so far behind in this area. Finally, I didn’t realize how much being pregnant tested one’s patience. Once you get a positive home test, you really don’t see your doctor until you are about 8 weeks along (2 months!). Then, doctor’s visits are monthly. FOUR whole weeks! I’ve never considered myself a patient person, but I feel as though I’ve mentally made myself patient throughout this process. And, I honestly think these 9 months or 40 weeks are flying by! I know I’ll feel different as countdown gets closer and feels far away!